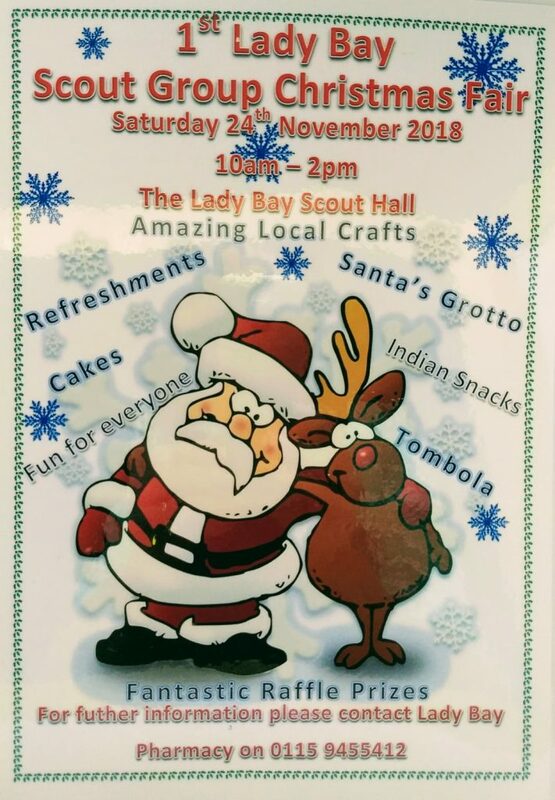 The Scout Group Christmas Fair is on November 24th this year, please come along and support us. As well as supporting the Scout group activites for next year we arte also supporting the The Friary. The Friary work in the nottingham area to empower homeless and vulnerable adults to rebuild their lives by offering practical services, advice and emotional support. Please come and support both organisations, buy your Christmas presents from local craftspeople, and enjoy the usual tea, coffee and cake. This entry was posted in News on November 5, 2018 by David Rennie.